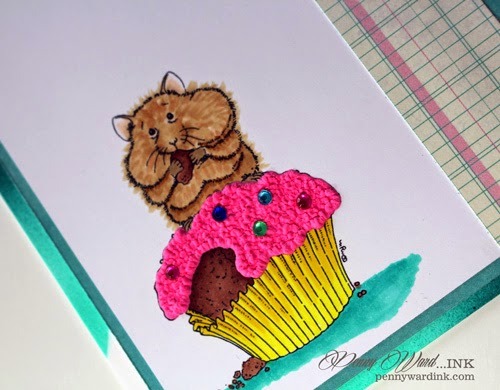 Someone I know is having a birthday soon, and since they are an animal lover, I went ahead and colored up this little hamster. See...I am keeping up with my New Years resolution and it is already the end of March. I just had to give you a closer look at the cupcake. 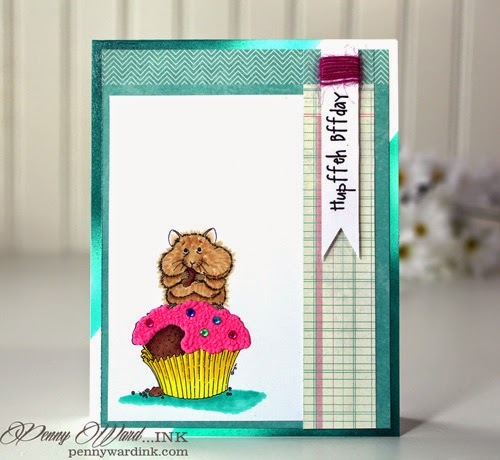 That wonderful frosting is made with Imagine Crafts Pink Amplify! (you just apply it wherever you want, heat with a heat gun and watch it puff up). With all the pattern paper, layers and angled coloring on card base, I am going to call this card a Freestyle. Imagine Crafts featuring Tsukineko: Pink Amplify! How yummy does that frosting look? So cool! Love the texture on your little hamster too! Awesome job! 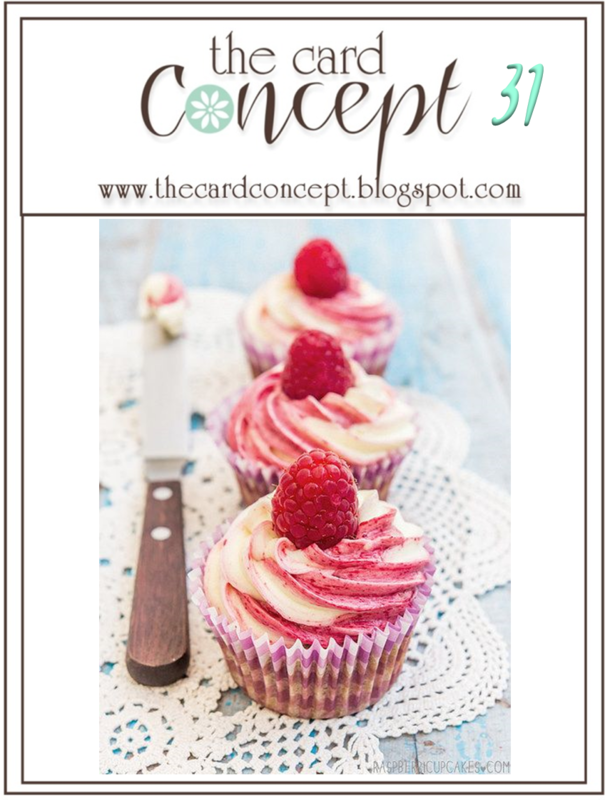 Thank you for sharing with us at The Card Concept! I don't think this hamster could be cuter, love him! But the blue ribbon goes to the icing on the cupcake! So real and yummy looking, wanted to take a taste! Adorable, cutest card ever!! Love that little critter and how he says Happy Birthday with his mouth full!! I also love the way you wrapped twine or string around your pennant with your sentiment!! Such a fun and clever idea!! Sparkly, cute and fun!! Awe your card is cute. Awesome. Thanks so much for joining us at Mo's Digital Stamp. OMG this is sooooo darn cute!!!! love the frosting on that cupcake!! !